Counterfeit checks are one of the most common instruments used to commit fraud against victims. 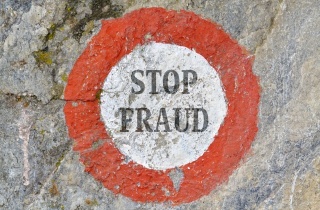 The goal for the fraudsters is to get the checks deposited “under the fraud radar”. They try to accomplish this by taking the human element out of the equation during these transactions, which is why there has been an increase in checks being deposited through the mobile app versus a deposit being made in branch. In 2018, the credit union surpassed $400 million in total assets with member deposits increasing by more than $21 million primarily in regular savings and checking accounts. Have you ever considered going to a Home Show but don’t know what to expect? Or maybe you have gone but were so overwhelmed you didn’t enjoy the experience. We’re here to help you explore your next local Home Show and get some great new ideas for your home! Spring is just around the corner and that means it’s time to change our clocks. When we spring forward to daylight saving time, we lose an hour of sleep. Most of us feel the effect for a few days afterward. Losing even just one hour of sleep can cause you to feel tired the next day and impair your concentration. Technology and the way we deliver service to our members is always changing and evolving. We strive to improve efficiency here at GSCU and the convenience to our members is always in the forefront of our efforts. It’s the time of year for Tax Fraud! As people file their tax returns, cybercriminals target them with a variety of scams. Some people learn they are victims only after having their legitimate tax return rejected because scammers already fraudulently filed taxes in their name. According to the Internal Revenue Service (IRS), there was a 60% increase in 2018 in phishing scams that tried to steal money or tax data. So how can you prevent being scammed? Maintaining accurate financial records is vital. Monitor your business account every day. It will help you keep track of your expenses and adjust spending accordingly. Regularly logging into your online account is a great way to prevent identity theft. Recently there have been more scams specifically targeting users of iPhones, iPads and Mac computers. Hackers are able to steal Apple IDs and money from iPhone users. The scam works by accessing payment information from credit cards tied to iPhones. Do You Have Good Financial Habits? To live a long life, you’ll need a healthy supply of money to go the distance with you. The risk of outliving your money is called “longevity risk.” Begin early and follow the following good financial habits, and you’ll increase the likelihood that your money will last as long as you will. As 2018 draws to a close, we reflect on another great year for GSCU! One standout moment was being recognized as a Best Company to Work For by Business NH Magazine. As a credit union striving to deliver the best possible service to our membership, we believe that starts with hiring great people, valuing our employees, and cultivating a positive work environment. 2018 was a busy year full of exciting ideas and projects! As we head into the New Year we look forward to showcasing some new member benefits to you. Travel can be an exciting, eye-opening experience. It’s easy to get caught up in the thrill of adventure. But don’t forget about travel security and safety considerations while you’re travelling! Have you noticed people posting quizzes on their Facebook answering questions such as their favorite book, dream vacation etc.? Marriott International, the parent company of Starwood Properties has reported a cybersecurity breach which compromised the personal information of as many as 500 million individuals worldwide. The breach of information targeted the Starwood Properties guest reservation database by an unauthorized party on or before September 10, 2018. While the holiday season means a spike in online and in-store traffic and sales, it also brings more fraud. Common fraud types include account takeovers, discount and coupon abuse, return abuse, payment fraud and scams. The holiday season is a time that inspires many people to reach out to those in need. Finding a cause you care about is the most important part of giving! Start by thinking about causes that matter to you on a personal level.